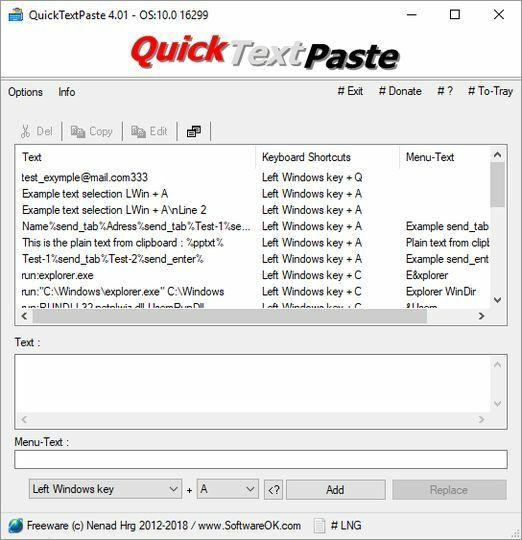 QuickTextPaste (64-bit) is a small portable program that allows you to insert (paste) quickly pre-defined text in any Windows applications via keyboard shortcut. This program also allows you to run commands and programs via keyboard shortcut. Save time and spelling errors with this small Desktop Tool for Windows. Inserting text with multiple lines.